Hello, I’m Heikki Valkonen, the entrepreneur of Tangopluma. 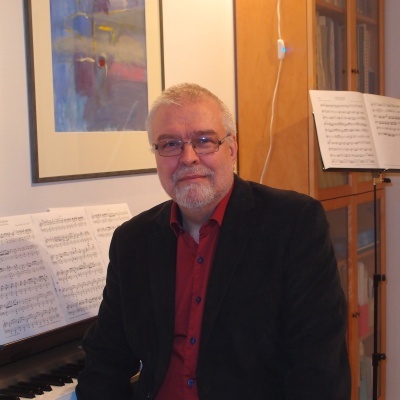 As a young man I studied musical composition and music theory at the Sibelius Academy, and musicology at the University of Helsinki. For a few years I gave instruction in musical analysis at the Academy, but then was carried away by information technology. A few years ago I found Argentine tango, and as I became more and more acquainted with it as a dancer and an occasional DJ, I was surprised to find that there are two, almost totally separate tango repertoires played in milongas: The one played by DJ’s and loved by dancers, and the other one played by current tango bands. There are many reasons for this (which I might analyze in detail in my blog), but anyhow I realized that I can use my ancient skills to widen the repertoire available to tango musicians. After all, tango was always danced to live music during the Golden Age of tango, and thus I would like to present my humble contribution to the dancing tango community. Tangopluma Music Publishing and Tangopluma Music Notation Services are subsidiary trade names of Sysgen Oy, registered in Kuopio, Finland.